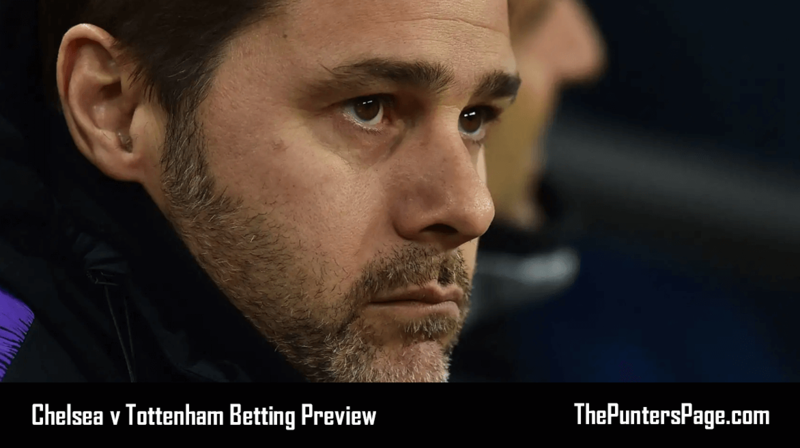 Patrick Gillen (@PatrickGillen94) previews Chelsea v Spurs and provides us with his best bets for Thursday’s Carabao Cup semi-final second leg by analysing team news, potential line-ups, head-to-head, key stats and facts and more. A place in the Carabao Cup final is up for grabs as Maurizio Sarri’s Chelsea look to turn around a 1-0 first leg defeat against Mauricio Pochettino’s Tottenham Hotspur. 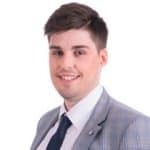 The first leg at Wembley was a tantalising affair, in which Chelsea were left ruing several missed opportunities and feeling aggrieved at a controversial VAR decision that had a huge impact on the result of the game. The video assistant referees mistakenly judged Harry Kane to be onside in the build up to winning a penalty and the Englishman duly picked himself up to despatch it, in what proved to be the only goal of the game. A lot, however, has changed since the first leg for Spurs as talismanic figures Harry Kane and Dele Alli are both ruled out of this one through injury, whilst Heung-Min Son is away on international duty. Spurs struggled without Kane in their last outing in West London, as they required a last gasp Harry Winks winner to see off Fulham. Maurizio Sarri will be demanding a response from his Chelsea players after the blues were beaten comfortably by rivals Arsenal last Saturday. Sarri has reportedly held clear-the-air talks with his players after describing them as ‘extremely difficult to motivate’ in an extraordinary post-match rant. This will only ramp up the pressure on the Italian ahead of Thursday night’s showdown, which promises to be an enthralling encounter. Chelsea are facing a race against time to sign Gonzalo Higuain in time to face Tottenham. The Argentinian striker, who looks set to replace Alvaro Morata as Chelsea’s main man upfront, must be registered by noon on Wednesday if he is to play a part in this fixture. The hosts will be missing midfielder Ruben Loftus-Cheek for this one as the Englishmen is still struggling with a back injury. Injury-hit Spurs have been given a boost as attacker Lucas Moura has been ruled fit to start having recovered from a knee injury. The away side will also be without Mousa Dembele, who has completed a transfer to Chinese Super League’s Guangzhou R&F F.C. Kane, Alli and Son are the three noticeable absentees for the away side. Potential Chelsea Starting XI: Kepa, Azpilicueta, Rudiger, Christensen, Alonso, Jorginho, Kante, Barkley, Willian, Hazard, Giroud. Potential Tottenham Starting XI: Gazzaniga, Trippier, Sanchez, Alderweireld, Vertonghen, Davies, Dier, Winks, Eriksen, Lamela, Lucas. Tottenham have won the last three meetings between these sides. Spurs have now scored in 19 straight away games. 16 of Tottenham’s last 26 league goals have been scored by either Kane or Son. Chelsea have scored just ten goals in their last nine matches. Chelsea have managed seven clean sheets in their last nine home games. Much like the first leg, expect this match to be a close encounter, with Chelsea playing on the front foot and likely enjoying the lion’s share of possession. I expect Chelsea to come out of the traps and play mostly in Tottenham’s half of the pitch during the early parts of the game, which may open up some value in the corner markets. Chelsea to have over four corners in the first half can be found at a tempting 13/5. Spurs, despite having the one goal advantage, will face a tough job without their influential forward trio of Kane, Alli and Son. However, they have scored in their last 19 away games and still have a very strong potential XI. Losing 2-1 after 90 minutes would give Tottenham a strong chance of going through on away goals after extra time. This correct score can be found at odds of 13/2. Willian has started every Carabao Cup fixture so far this term and, should he start ahead of Callum Hudon-Odoi and Pedro, will be one of the men Spurs’ resilient defence need to stop if they are to progress. The Brazilian can be found at a tasty 8/1 to score the first goal.